@BifBangPow: Hurley's Coming. He Has a Great Hat! 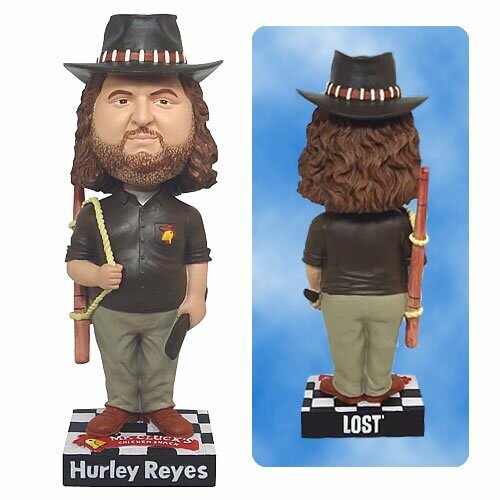 Hurley's Coming. He Has a Great Hat! Straight from the hit A.B.C. TV show, you can now pre-order the Lost Hugo Hurley Reyes Bobble Head! Fans of the show, take note of the awesome accessories in his hands. Can you recognize them all? Lost Jacob & Man in Black - SDCC 2010 Exclusives! SDCC 2010 Exclusive Mystic Seer - Now in color! Lost Claire Bobble Head - SDCC 2010 Exclusive!